Jenny Rissveds took the mountain biking world by storm in 2016, announcing her arrival at the top end of the sport with some outstanding performances and then capping it all with the Olympic gold medal. Now the 22-year-old Swedish star is taking a step into the unknown and will be competing in the 2017 Absa Cape Epic. Jenny Rissveds took the mountain biking world by storm in 2016, announcing her arrival at the top end of the sport with some outstanding performances and then capping it all with the Olympic gold medal. Now the 22-year-old Swedish star is taking a step into the unknown and will be competing in the 2017 Absa Cape Epic. She will be riding with her SCOTT-SRAM team manager Thomas Frischknecht, 46, in the Virgin Active Mixed category. Frischknecht himself has a long and outstanding mountain biking career with three world championship titles: two in the marathon discipline and another in cross country. He is also a four time Absa Cape Epic finisher. Besides her Olympic heroics, in 2016 Rissveds won the Under-23 Cross Country World Championship and performed strongly in the World Cup series, dominating the Under-23 category and then winning the open event at Lenzerheide in Switzerland. Her decision to join the race means that both Olympic mountain biking gold medallists will be in the field. Earlier this year men’s winner Nino Schurter of Switzerland announced that he would be racing in the Men’s category with countryman Matthias Stirnemann. 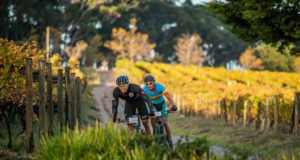 This will be your first Absa Cape Epic – what made you decide to do it? What do you know about the race? Have you been to South Africa before, and will you be coming out before the event? How are you going to approach the race: will you be racing in the Mixed Category or just enjoying the experience? 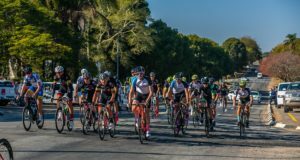 Have you done many stage races before? Have you raced in a two-person team race before? “I got back in training (not long after the Olympics) and have slowly increased my training. Up here in Sweden the weather can make training difficult … which makes sure I don’t do any overtraining! * The 2017 Absa Cape Epic mountain bike stage race takes place from 19 to 26 March and the much anticipated route can be viewed here.